Thanksgiving is coming up and I have the bestest ever picture book for that! I just checked it out of the library and now plan to buy a copy. I’m excited to have a great Thanksgiving story to share with my children; one that combines history with a gripping story, one that teaches about women’s rights without preaching, and one that will help add a whole helping of meaning to our Thanksgiving table. This is a fun story that will be enjoyed by the little ones but with enough history and real issues to be liked by kids much older than the usual picture book audience. Heck, I liked it so much I read it twice right away. Sarah Gives Thanks is a true and well-researched story by Mike Allegra. A widow, Sarah works in a hat shop, even though she has a particular disdain for impractical fashion. Even though women didn’t attend college in her time, she gets an education with her older brother’s textbooks from Dartmouth. You get a sense of her personality when she convinces him to help her study on his vacation by saying “I am not going to go away, Horatio. Therefore you might as well do as I ask.” Even though this is the early 1800s when women had few professional options, Sarah publishes a few poems in a magazine and later becomes a widely read author. She and her family are invited to move to Boston so she can become a magazine editor (although she insisted on being called an editress). She quickly becomes an influential figure in America, and her opinions matter. Throughout all this time, Sarah has been celebrating Thanksgiving, not yet a national holiday, and telling everyone who would listen (which was getting to be a lot of people) that everyone should celebrate it. She wasn’t as concerned with the holiday’s roots as much as she was concerned with the meaning of the holiday–that we all have something to be thankful for–and this is someone who had already lost two husbands. Sarah wrote to president after president. (“I am not going to go away,” Sarah said. “Therefore the president might as well do as I ask.”) but Zachary Taylor, Millard Fillmore, Franklin Pierce, and James Buchanan all ignore her. It wasn’t until Lincoln got her letter in the middle of the Civil War that he agreed that Thanksgiving was exactly what the nation needed. It’s a phenomenal story that is told much better than my short synopsis and with really great illustrations that bring the characters to life. An author’s note with more information about this amazing woman is included at the end. I love that this is less about the Native Americans and the Pilgrims and more about being thankful, which, given the history of those two groups after their big feast, I think is the message most families want to pass along today. Now when I make my own Thanksgiving about saying our thanks, I know I’m not even rewriting history–I’m just following in the footsteps of the great woman who made this holiday official! I hope this book makes its way onto your tables and its message–about being who you can be despite prejudices and being thankful despite heavy loss–reaches your children’s hearts and minds. It’s a good one. 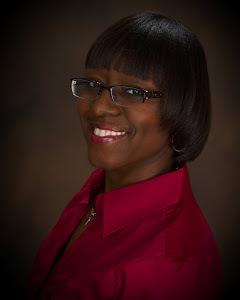 November is the month of giving thanks or a celebration of thankfulness, as one blogger describes it. I am thankful everyday for friends and family who are the most valuable players in my life. However, this month I am giving thanks for my love of reading (and writing). Sometimes it’s hard to make time for the little things we love most. When you finally carve out time for the thing you love, is it a warm fuzzy feeling, a rush of adrenalin or does it simply bring a smile to your face? As I sat down with a new book to read, a smile appeared on my face from page one. 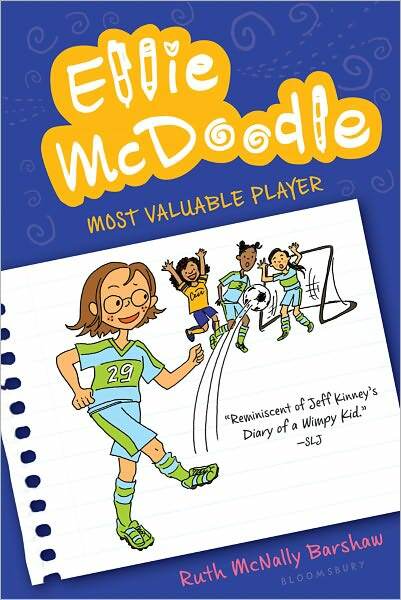 The Ellie McDoodle Diaries-Most Valuable Player, by Ruth McNally Barshaw was a fun book. In the beginning Ellie talks about the Breakfast Games that her family plays. In the game, Balloon Bobble, they bump the balloon in the air while eating…and mayhem begins. Do you remember the dreaded words that you never liked to hear your teacher say? For Ellie it was when the teacher announced that they would have to work on “group projects.” Of course best friends couldn’t be together. Although Ellie couldn’t be in the same project group with her best friend, she could do other things with her. When Ellie’s friend decides to try out for the parks and rec soccer team, she encourages Ellie to do the same. After giving a lot of excuses, Ellie finally decides to give soccer a try. Guess who coaches Ellie’s team…? You’ll have to read the book to find out. And who is the Most Valuable Player? It’s revealed at the end of the book. If you get to the end of the book and want more, there are other Ellie McDoodle books in the series. For a little family fun, choose a most valuable player (MVP) in your family each week (until everyone has a turn to win). Create your own guidelines. Maybe your MVP is the person who completed all of her chores without complaining, or completed a task without being asked to do it. Your MVP could also be one who went to bed on time for an entire week. You could even take a lesson from Ellie McDoodle’s family and initiate your version of Breakfast Games. That’s one way to make meal time interesting. As a reward, treat your MVP to a lunch of his or her choosing or some other small token. While you celebrate the month of giving thanks, build in time to do something you love. Know that it’s okay for you to be selected as the Most Valuable Player. How will you celebrate the month of giving thanks with your MVP? Reading has traditionally been an activity young children do with Mom. However, in so many families reading can fall down the priorities list with both Mom and Dad working outside the home or if Mom and Dad are not together. It is critical for Dad to be engaged in the effort of creating a healthy reading environment in the home. Kids look up to Dad, just as they do Mom. When they see both of their parents involved in literacy activities, it helps them develop a strong love of reading. Dads tend to have a greater ability to be silly with their kids. We are more in touch with their 12-year-old self. It’s true, whether we want to admit or not! Dads are often the ones rolling down the hill with their kids or putting things on their head in the grocery store. Keep that silliness alive even when you are cuddled up on the couch reading with your kids. Read with funny voices and accents for each character. Use costumes and puppets. Get off the couch and recreate the action of the story. Injecting energy and enthusiasm in the story will make reading time with Dad an event not to be missed! Having that intimate time with your children is crucial and should be cherished. Read without distractions. Turn off the TV and leave your phone in another room. Instead immerse yourself in the moment. Texts and emails can wait – focus on the time you have together. This strengths your bond and shows your children how special they are to you. Make reading a priority. Treat reading time as any other task or appointment on your schedule. It is just as, if not more, important than anything other commitment you have. There is always at least 15 minutes to pick up a book and read with your child. Seeing how important it is to you will boost their self-confidence and motivate them to pick up a book. Dads have such a great influence on their kids – if you love reading, chances are they will too. Dads can never go wrong with Dr. Seuss. They are always fun to read, for parents and kids alike. The simple, silly rhymes are perfect for beginning readers. This heartwarming tale of parental forgiveness and unconditional love is a wonderful story for dads to read to their children. Little Piglet has upset her father and wonders if he still loves her. She feels unloved and seeks reassurance from other animals in the barnyard, learning that no one love her more than papa. Piglets loving relationship with her papa will comfort any child who has ever been naughty for attention. This book demonstrates to your little one the importance of family time. It poetically tells the story of a father and daughter going out into the woods one snowy night in search of an owl. The little girl is so happy to finally go “owling” with her dad that she doesn’t mind if they never find an owl. No collection is complete without this sweet and touching little book. It is a favorite in many homes and can choke up the toughest of dads. Jake Ball started childrensbookstore.com in 2006 after realizing that there was no website that was a truly independent bookstore that is 100% dedicated to juvenile literature. He loves engaging with the authors, illustrators and publishers who work hard to produce high quality children’s literature. Jake and his wife have 4 beautiful children. These poor children are often used as product testers and they have more books than might be considered healthy.